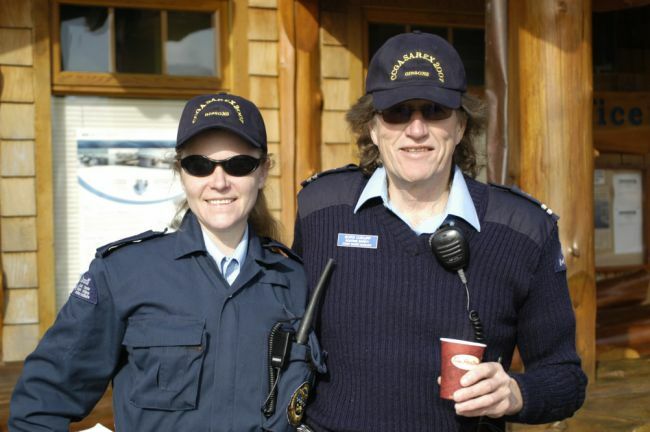 Spent all day today down in Gibsons at the 2007 Sunshine Coast SAREX. 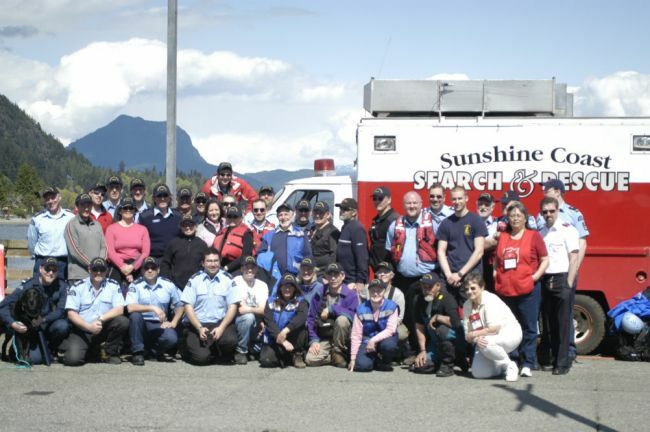 A multi-agency training exercise for Search and Rescue. Kellei was the official photographer and I was acting as one of the evaluators. The exercise was designed to involve CCGA, CCG, and GSAR members from the area. 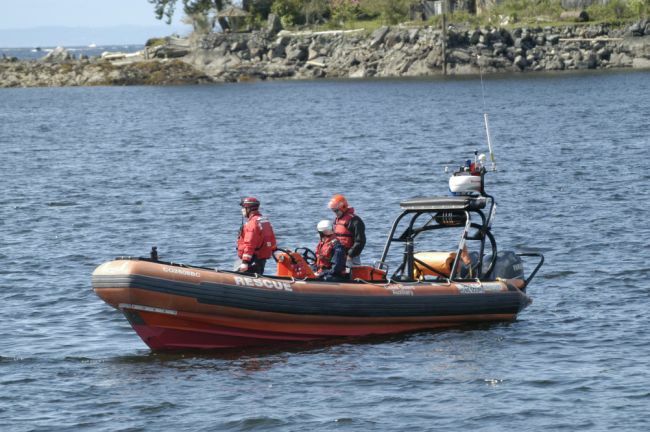 Seven vessels, the CCG Hovercraft Penac, and 4 teams of Ground SAR personnel all participated in a simulated vessel abandonment and rescue off Keats Island near Gibsons BC. The exercise took most of the day and was punctuated by a rather humorous exodus of all 6 marine SAR resources when a real distress call came in shortly after the exercise ended. In the end there was no distress and everything worked out OK.
During the exercise the hovercraft has put four of their divers in the water to act as simulated passengers who had abandoned Ship in the water and required rescue - this was a but of a shock to the event organizers who didn´t know this was coming - but everything worked out great and everyone was recovered. My job was a bit tricky because I had to zip around from one scene to the next in our observation vessel trying to track 4 different teams on the water and watch them interact with the 4 teams on land. 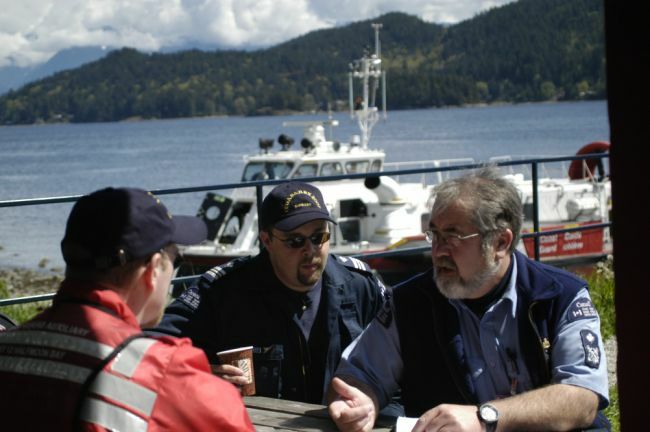 My Friend from CCGA Unit 1 (Howe Sound) brought over their 733 (our old vessel) and helped evaluate. It was great to see Shawn again as we had trained and traveled together as part of the 2005 ISAR team. It worked as well as it could have and we managed to provide some valuable feedback to everyone involved at the end of the exercise. 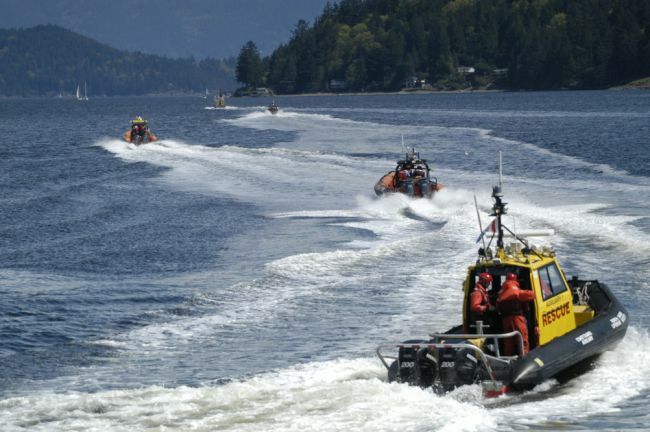 A great day to have be in distress on the water near Gibsons - that´s exactly what happened to one unfortunate (or should I say fortunate) mariner who ran Aground About 3 miles away. Within 2 minutes 6 rescue resources were speeding to the scene. It turned out that everything was fine - but it was pretty funny to watch all those boats take off at once! We all had great fun and learned a lot - you can´t ask for more then that!